← Do You Believe in Good Luck? July 2, 2014 · 2:09 pm.07. 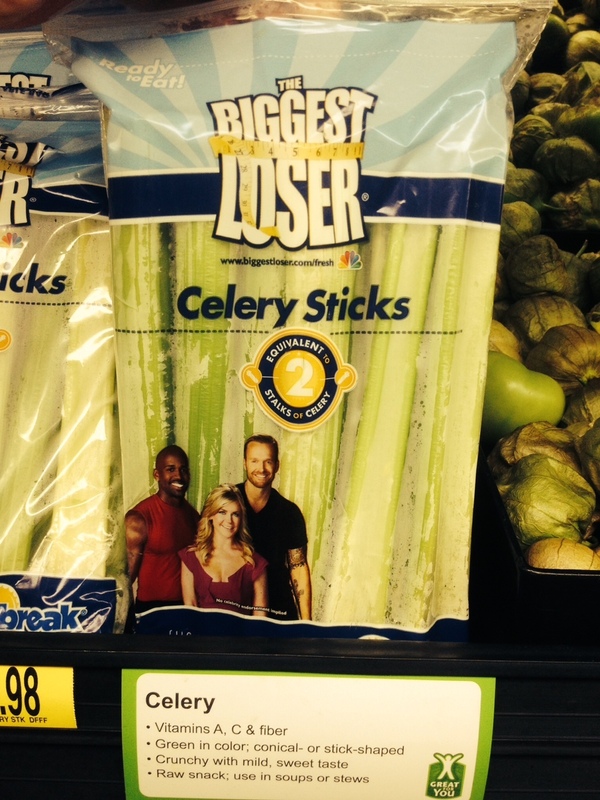 Biggest Loser Celery in the produce section of my local Walmart. Are YOUR vegetables endorsed by a reality TV show? I tried contacting the American Celery Council for statistics on celebrity-endorsed celery, but that trade organization tragically appears to have fizzled out in the early 1990s. Walmart’s celery bullet points, however, are very helpful.